It’s almost exactly 10 years ago that humanity parachuted a spacecraft into Titan, that moon of Saturn that could hold chemistry similar to what sat on Earth before life arose. Called Huygens, the probe survived for just about an hour on the surface on Jan. 14, 2005, transmitting information back about conditions there and on the way down. Huygens is long dead, but its carrier craft is doing just fine. On Dec. 10, Cassini will make the 107th close pass by Titan to learn more about the moon’s atmosphere. Although Huygens made it to the surface fine, showing at least a basic understanding of how a parachute behaves on Titan, there’s still so much more we need to learn. Specifically, Cassini’s different instruments have been coming up with different answers for Titan’s atmospheric density, so this flyby is hoping to resolve some of that. In part, they hope to get more accurate measurements by measuring how much drag the spacecraft experiences when it flies past the moon. When Huygens probed the atmosphere on its way down, scientists figured that its measurements agreed in many ways with those taken by the flying-by Voyager 2 spacecraft previously. 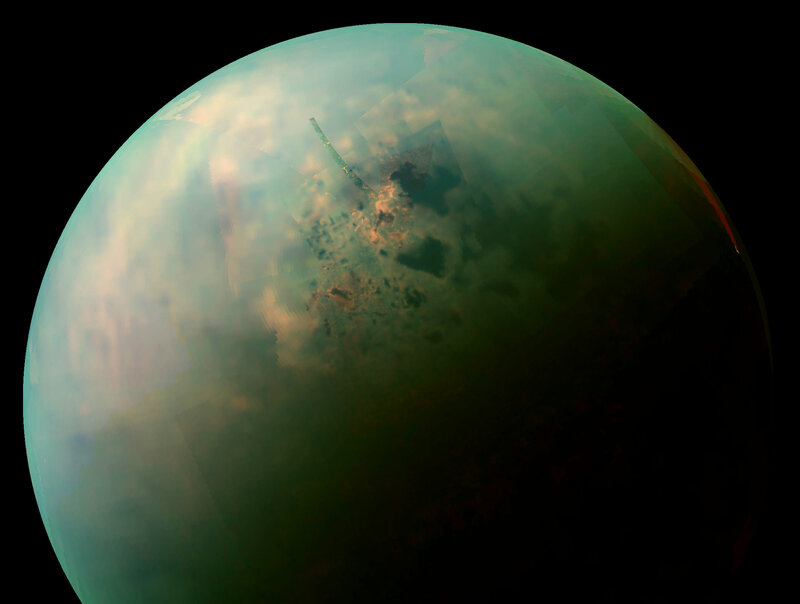 That said, the probe also discovered “a significant correspondence of wind shear and buoyant stability structures” in the stratosphere and lower tropopause of Titan, according to a 2006 presentation on Huygens results. And Cassini made several atmospheric discoveries of its own, such as the haze of Titan acting as an ozone layer, that glints of light off of Saturn can change air currents in the atmosphere, and that the atmosphere itself might be older than Saturn. And in a spectacular recent reminder that we can make Titan discoveries from Earth, the powerful ALMA radio telescope array found an unusual organics distribution in Titan’s atmosphere.